Your registration helps us prepare our classroom for the correct number of participants. This informational session will give participants a taste of how one unwinds the inner and outer causes of the toxic, perpetual negative stress that is so commonplace throughout our society. Learn a little about practices such as autogenic training, heart coherence, psychosensory techniques, creative expression, cultivating positive emotional resonance, and establishing healthy boundaries are incorporated into a simple framework for reducing stress, increasing resilience, and cultivating wellbeing. Learn about the six-session program being offered in Jan-Feb 2017. FREE! All are welcome! 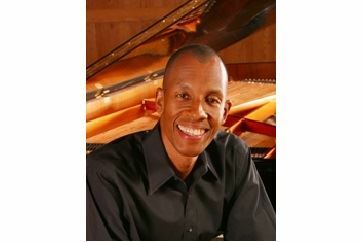 Harry Pickens is an accomplished pianist, composer and educator whose performances have touched the hearts of audiences worldwide. He is Artist-in-Residence for the Kentucky Governor’s School for the Arts and is the 2009 recipient of the KY Governor’s Award in The Arts, the state’s highest honor in the creative and performing arts. Harry’s teachings on healing and the spiritual path is sought after in Louisville and beyond.